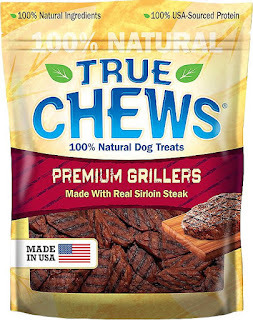 True Chews are proudly made rawhide-free from 100% real meat, and without fillers right here in the USA. Could your pup resist a delicious aroma & tender, chewy texture? These treats are a natural, healthy, safe chews for your dog! 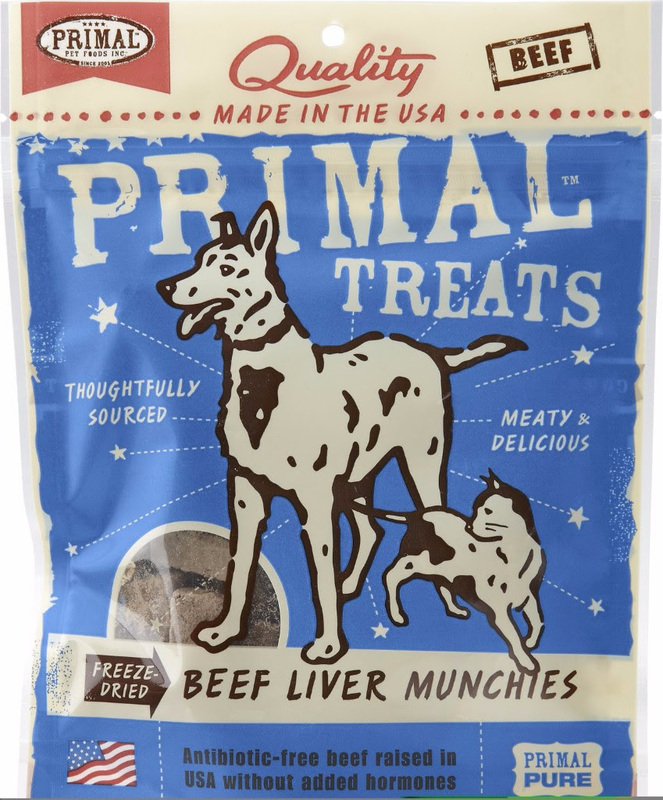 Meat is a primal part of every furbabies' diet, so why not spice things up with Primal Liver Munchies. These delicious freeze-dried treats are packed with flavor and protein, leaving your pets hankering for more. As a single protein source, these make a great and healthy snacks for even sensitive furbabies. So on your mark, get set, munch! A huge thank-you to Chewy.com for sending me two dog treat samples in exchange for an honest review. All opinions expressed are 100% my own. I decided to put one treat in each of my hands and let my dog, Kiah, sniff them out and pick which one she wanted. I didn't really know what kind of response I was going to get. It was the "Premium Grillers" that won test! Kiah loved the steak bites. I think the "Premium Grillers" had a bigger pleasing scent to my dog as the "Pork Primal Treats" didn't have much for scent. 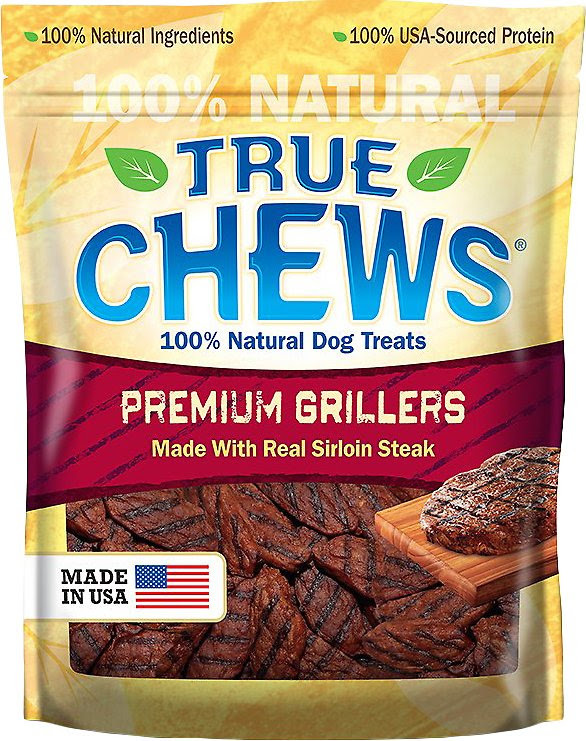 Kiah was begging for more of the steak "Premium Grillers" while ignoring the "Primal Treats." 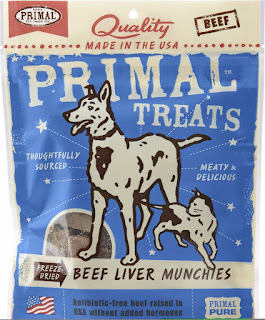 I was still very shocked when my dog ignored the "Primal Treats" after I put the bags away. The treat was on the floor for some time as she refused to eat it. I also have to admit that my husband sampled each treat... I KNOW EMBARASSING to write that but he has a curious mind and since the ingredients are all safe he became more curious. His response after eating the True Chew treats was, "they tasted like dehydrated beef jerky with a little bit of an iron flavor. Then when he tried the other "Primal Treat" he said, "wow that tastes like liver with a little spirulina. I might just have to video him tasting treats next time as he was funny. After some time Kiah did finally eat the "Primal Treat" and I offered her a few more and she ate them up quickly. I am really thinking she was just more pleased with the Steak "Premium Grillers" more because they not only tasted good but they smelled good too. The "Primal Treats" were freeze-dried so having an inviting scent was not present. Overall, I know what treat my dog prefers but she will and has enjoyed both treats! Kiah sure has been begging for more treats! It might be time for my kids to teach her some tricks to earn these tasty treats. I also like that these treats are made right here in the USA.